Our Swift Tutorial provides basic and advanced concepts of Swift. This tutorial is designed for beginners and professionals. 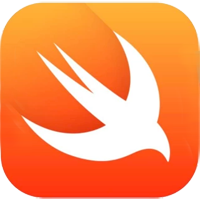 Swift is a general purpose programming language for developing iOS applications. It is developed by Apple Inc.
Our Swift tutorial includes all topics of Swift Programming such as what is swift, History of Swift, Features of Swift, Swift vs Other Programming Languages, Environment Setup, First Swift Program, Syntax, Datatypes, Variables, Constants & Literals, Operators, Control Statements, Loops, Strings, Functions, Collection etc. Before learning Swift, you must have the basic knowledge of programming concepts or any programming language. Our Swift tutorial is designed to help beginners and professionals. We assure that you will not find any problem in this Swift tutorial. But if there is any mistake, please post the problem in contact form.